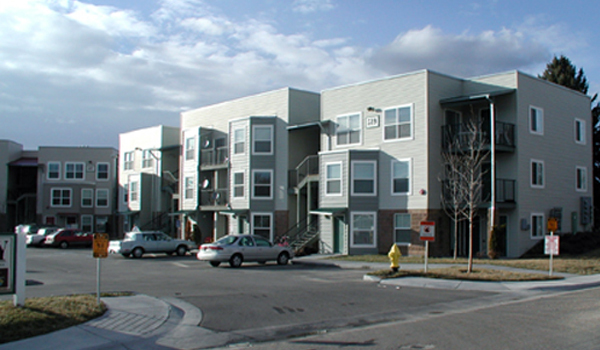 Trout Architects, in their second venture with Boise Neighborhood Housing Services, a non-profit organization, provided design services for a 72-unit apartment complex on a 6.4-acre site in Nampa, Idaho. 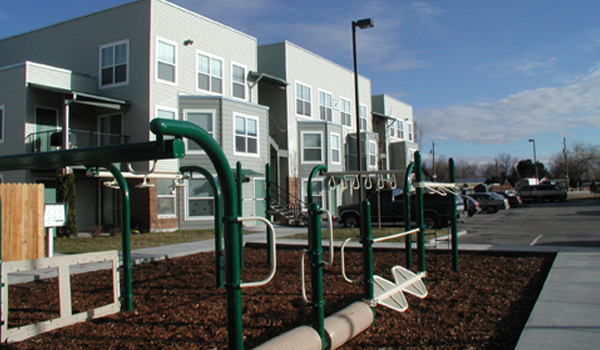 To meet the needs of the families in the Nampa area larger units of up to four bedrooms were built. 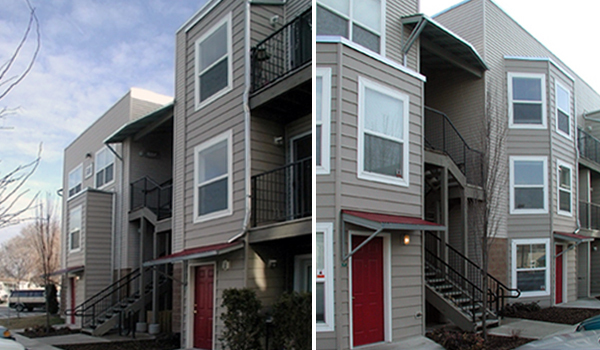 The 72 units vary in size from two to four bedrooms within six buildings. The living rooms and kitchens look out onto the central courtyard and parking area creating a constant observation of the activities of the residents and quests enhancing security at this complex. The centralized community center contains a managers unit with office, a coin operated laundry, and large meeting room with computer area for use of the residents. A central playground is located next tot he community building for the tenant’s use. The site was maximized with the amount of units and the large square footage of each apartment. Parking requirements were increased due to the amount of bedrooms. The buildings are visually subdivided into the rhythm of townhouses with private entries at the ground floor that creates the feeling of a small neighborhood.